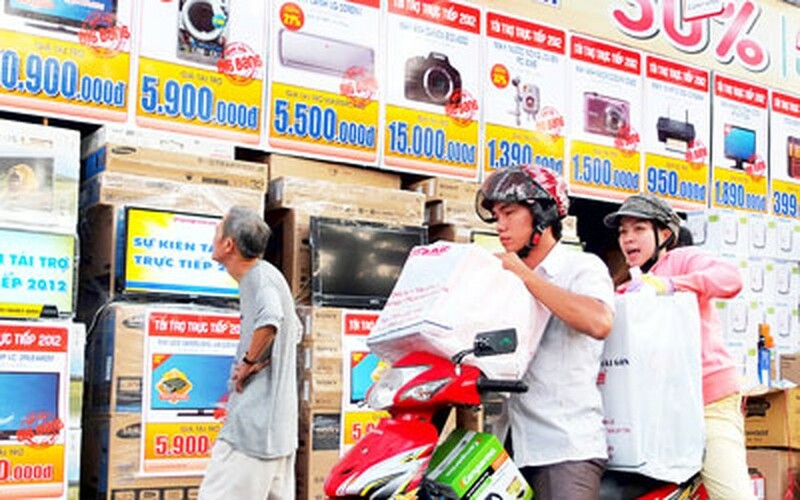 The four day long holiday from December 29 till January 1 for New Year remained depressing for most businesses and traders in Ho Chi Minh City with purchasing power still showing a downward spiral. Supermarkets complained that purchasing power was much less than expected and markets in District 9, Thu Duc and neighboring areas from HCMC to Binh Duong Province faced the same dilemma with very few buyers. Nguyen Thanh Ha, deputy director of Thu Duc Wholesale Market, said that the volume of goods in the market had been increased by 200-300 tons from normal times to 3,500-3,700 tons a day. However low purchasing power did nothing to ease inventory of such a high volume of goods. This only resulted in traders resorting to offering huge discounts of upto 50 percent to clear stocks.